‘Millennials overtake Baby Boomers as America’s largest generation,’ read the headline that rocked the world via the Pew Research Center on April 25, 2016. Since then, said world seems to have scarcely been the same. Every big box company from AT&T to Target to Zantac scurried into their marketing boardrooms to concoct brilliant ideas geared towards the new consumers on the block. They weren’t the only ones, however. Employers strategized out how to entice, hire, and retain this new generation who would ultimately be responsible for their company’s future, both immediate and long-term. Corporations like Google and Buzzfeed had long been incorporating incentives such as free cafeterias and work-out rooms in an attempt to make employees feel valued and balanced in their workplace. For other companies, though, enticing millennials has proven to be a much larger obstacle and retaining them as employees is even more difficult. I should know because I’m a millennial. I fall into the category not only because of my birth decade, but because I’ve caught the stereotypical bug of wanting nothing more in life than to save the world from all the injustices consuming it. I can relate to every website and intercity non-profit, volunteer organization, and for-profit philanthropic group one of my fellow millennials has started. The goal of generating income while saving the planet is one of my ultimate dreams. How then, do I come to work for two years at a company like Radiation Business Solutions, where the backbone of success is built off of sitting at a professional desk for eight hours a day sending out claims and negotiating with fortune 500 insurance companies? It’s thanks, in part, to three areas at the of RBS’s business model that involves listening to the patient, fighting on behalf of the patient, and remaining ethical in interactions with clients and patients. First is listening to the patient. 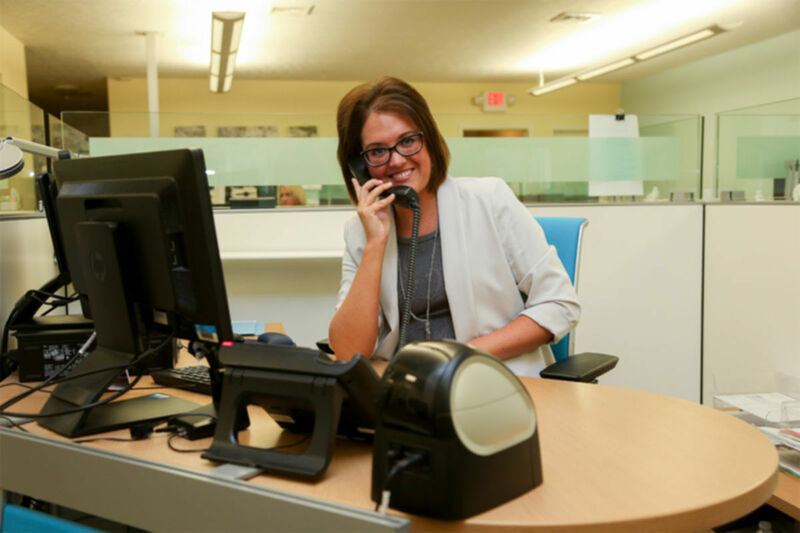 Being a third party biller can be tricky because, depending on where a treatment center is located, the billing staff may never see the doctors they speak to on a regular basis, let alone any of the patients whose claims they daily mail out. One way RBS helps bridge the gap between paper and patient is by taking time to acknowledge each patient’s humanity. RBS seeks to help patients understand exactly what their bill is communicating. The company was built on and the employees are trained with the understanding that each patient is not just a policy number, but an individual fighting a life-threatening illness who should be treated with the care and dignity their journey deserves. The second aspect to helping retain millennial workers is to approach insurance companies from the mindset of fighting for the patient. Most billing companies simply do what they were hired for by their clients: process claims. And they do so quite efficiently by sending every denied line item, erroneously applied deductible balance, and randomly bundled obscure charge straight to the patient’s total bill. By requiring their employees to reprocess denied claims, RBS gives us the satisfaction of having victory over a flawed and many times harsh system that piles needless bills on patients who have neither the energy nor industry insight to combat the issue themselves. By hiring millennials to put a little elbow grease into the process RBS not only sees an increase in collections, but the patients are appreciative and the employees feel accomplished that they have made a direct positive difference by alleviating some of the patient’s financial burden. The third way RBS helps to create a healthy work environment for a millennial employee is by remaining ethical in their business standards. Because RBS maintains a high ethical structure in regards to federal laws and our own company policies, comments are made weekly by the team expressing their appreciation that they are expected to treat patients as the cancer-fighting individuals they are, and our clients as professional experts instead of simply a means to a monetary end. The business world is forever changing and the facet of medical billing changes even faster with new policies, updates, and codes constantly being renewed. It can be difficult in such a fluid and unpredictable environment to retain excellent workers. Adopting the timeless approach of building a business around the model of kindness is one easy way to help retain millennial employees. After all, listening to patients, fighting on their behalf, and remaining ethical in interactions with clients and patients isn’t just a good business strategy; it’s a world-changing model. Interested in joining our team? Click here to see current job openings.